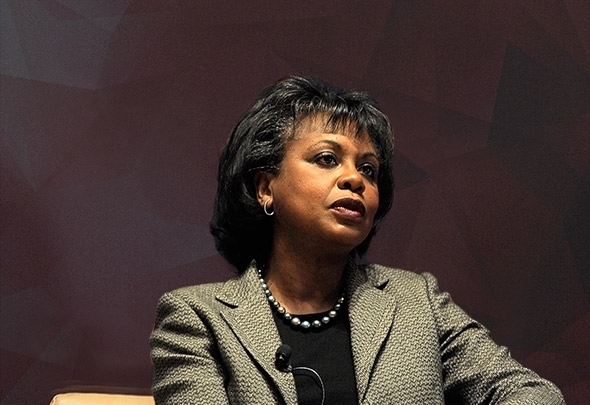 An American women's rights icon, historic figure, attorney, and powerful advocate for equality, Anita Hill brought the issue of sexual harassment to the forefront of our national conversation in her historic testimony before the Supreme Court confirmations hearings of Judge Clarence Thomas. Her bravery empowered women from all walks of life to bring forth their own sexual harassment lawsuits and helped revolutionize equality for women in the workplace. 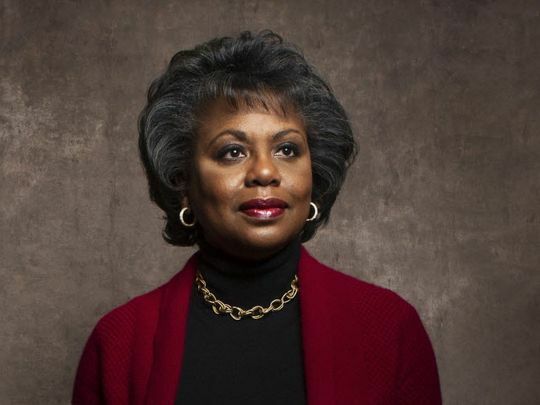 That was over 28 years ago and today, in the wake of the #MeToo movement, the Judge Brett Kavanaugh Supreme Court confirmation hearings, and the volatile social and political climate, Anita Hill is more important than ever. Her moment in history becoming her a lifelong battle against discrimination and for race and gender equality. As a brilliant intellect and thoughtful voice, Anita speaks of progress and setbacks, outlining the arc of sexual harassment, asking “Have we learned nothing since 1991?” Her answer is clear, “We must raise our voices just as we did then to say, ‘enough is enough.’” Inspiring others to get engaged, find their voice, and speak truth to the power, she explains how we must change the overarching culture and systems of our society in order to foster true change. "All These Issues Are Still With Us"
“I think we have to understand the root problem for what it is. It's not just about sexual harassment. In many ways, that's just the tip of the iceberg. It is about the abuse of power that occurs. We have to see this as a problem of power-power alignment and abuse, overall.” Anita argues that this abuse of power in a corporate or academic setting profoundly affects an institution's culture, morale, and reputation. By taking action, individuals can go beyond just prevention and policy to re-defining structure and culture that includes equal voice, leadership opportunities, and pay for women. With #MeToo breaking open entrenched pattern of sexual abuse in the entertainment industry, Anita also brings her formidable experience to challenge the status quo as the Chair of the Hollywood Commission on Sexual Harassment and Advancing Equality in the Workplace. A prominent woman leader in academia, Anita lectures on anti-discrimination law, gender, race, social policy and legal history as Professor of Social Policy, Law and Women's Gender and Sexuality Studies at Brandeis University. In this role, she is actively leading the conversation about Title IX by outlining specific structural changes that companies, schools and organizations can make to step up, embrace equality and increase opportunities. A trailblazer and crusader for gender and racial equality, Anita is empowering a new generation of women to fight for change and embrace feminism as a gateway to activism, social justice, and speaking truth to power. The event was one of the most amazing I have ever witnessed. Everyone I have spoken to was simply blown away by it. Please pass along to Anita that people reported being especially blown away by her brilliance. This is not a gratuitous, hyperbolic, compliment. My big takeaway? The Hill-Thomas hearings robbed all of us of the chance to know in 1991 exactly how brilliant Anita Hill is. As a nation, we are left with an image of her at the hearings, having to respond to horrible questions within the context of a highly constrained forum not of her choosing. On Wednesday, we all got to see a brilliant intellect at work. We could see the gears whirring as she provided thoughtful, highly analytic, and non-formulaic answers to the questions. Her response to the question about academia was especially powerful. What an absolute honor and privilege to have met you and welcome you to Toronto. There are not very many people who can attract 800 women and men (some of the most intelligent and powerful women in Canada) at the ungodly hour of 7am in the morning. You did not disappoint them. Your determination, intelligence, approach to the issues and your warmth was incredibly inspiring. You gave us hope that we can all make a difference every single day and that it is important to keeping the conversation going. You are such an incredible symbol of strength and perseverance.